Auburn Hills, MI – After beating Orlando on Tuesday, the Detroit Pistons spent some unexpected time away from the court on Wednesday when the team’s game at Atlanta was postponed due to weather. On Saturday, Detroit (18-27) hosts the Philadelphia 76ers in search of its second consecutive win and only its fifth in the last 16 games. 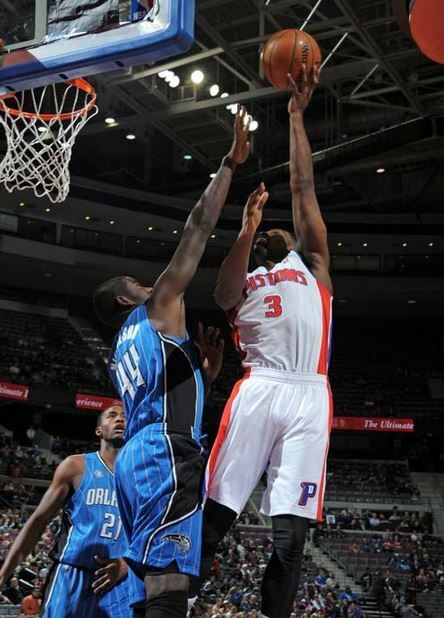 The Pistons are also looking for consecutive home wins for only the second time this season. After starting the season 3-0, Philadelphia has fallen to 15-32, good for 12th place in the struggling Eastern Conference. Two of the Sixers’ 32 losses have come against the Detroit Pistons. Philadelphia will be without rookie of the year candidate Michael Carter-Williams (17.6 ppg, 6.6 apg), who is ruled out for Saturday with a sore shoulder. Reserve guard James Anderson (10.0 ppg, 4.1 apg) will start in place of Carter-Williams. Thaddeus Young (17.4 ppg, 6.3 rpg), Evan Turner (17.9 ppg, 6.0 rpg), Spencer Hawes (13.5 ppg, 8.6 apg) and Tony Wroten (12.7 ppg, 3.2 rpg) round out Philadelphia’s starting five. Detroit will feature the same starting five for the 21st straight game: Josh Smith (15.6 ppg, 6.9 rpg), Brandon Jennings (16.5 ppg, 8.5 apg), Andre Drummond (12.8 ppg, 12.8 rpg), Greg Monroe (14.4 ppg, 8.8 rpg) and rookie Kentavious Caldwell-Pope (7.1 ppg, 2.2 rpg). Sixth man Rodney Stuckey (14.2 ppg, 2.2 rpg) and reserve forward Kyle Singler (8.4 ppg, 3.4 rpg) lead Detroit in minutes off the bench.